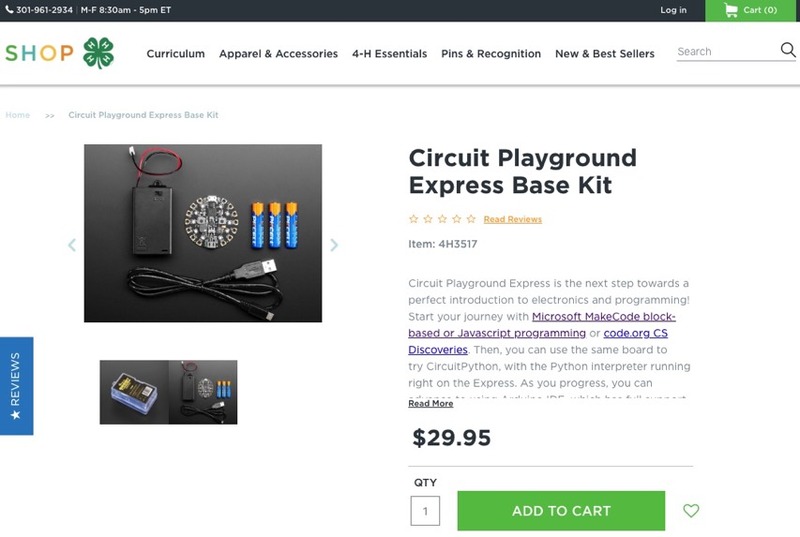 Adafruit Circuit Playground Express 4-H edition approved! @adafruit @4H #4H #4HGrowsHere « Adafruit Industries – Makers, hackers, artists, designers and engineers! 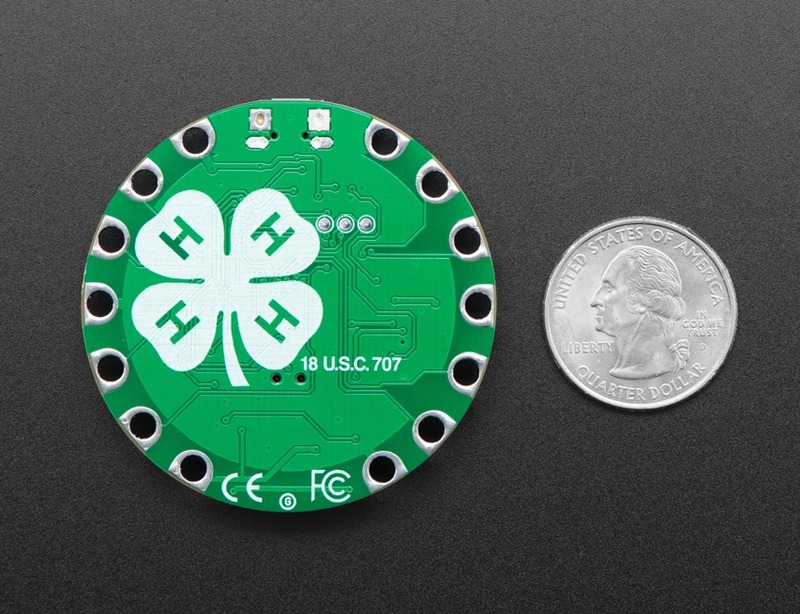 “4-H grows confident kids with life skills to thrive in today’s world & succeed in their boldest dreams tomorrow.” About a year ago Adafruit started the process of working with 4H to have an official 4H branded version of Circuit Playground Express. We applied and were notified today we were accepted! 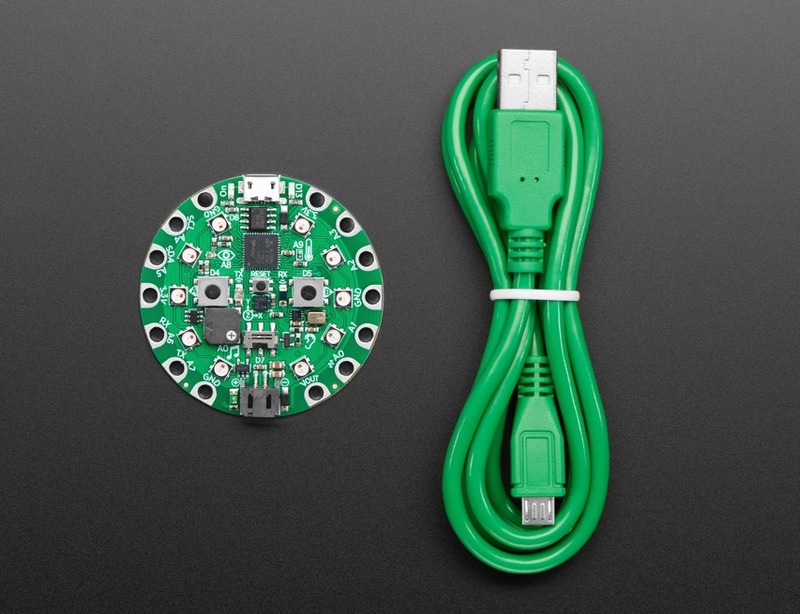 In November of 2018, the National 4-H Youth Maker Summit used Adafruit Circuit Playground Express. 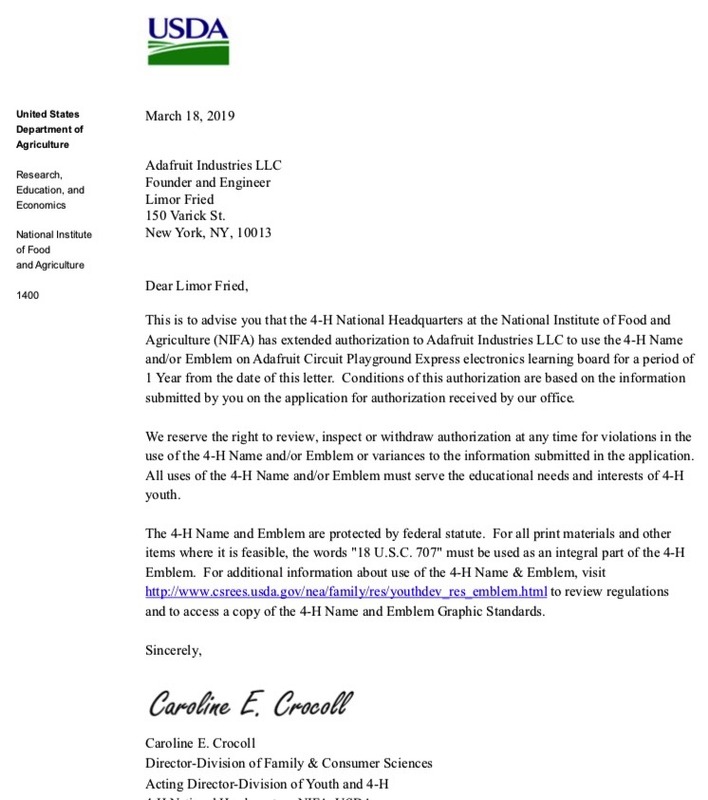 …and soon we’ll have even more specific 4-H projects and products. This is a special day here for us at Adafruit, a lot of folks helped getting all the things necessary before, during, and after the application process as well as helping with the projects and more over the last year together. Thank you: Alaina, Betsy, Caroline, David, Dorothy, Evan, Freeman, Jen, Josh, Mike, Sara, Tara, Teddy, the USDA, and a few more that we’ll add here if we forgot anyone! And lastly, thank 4-H for being such an important part of so many young people’s lives, including mine (Article: 4-H, electronics, makers, holland lops, silkie chickens & more). The product page is here, more soon!